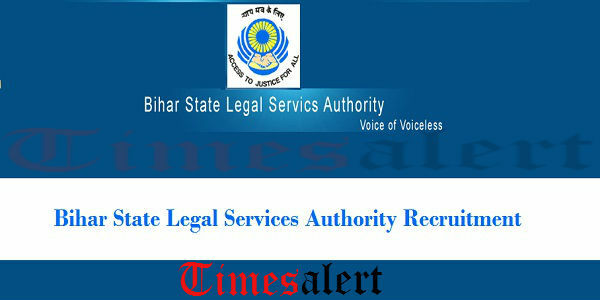 Bihar State Legal Services Authority Recruitment 2016 : Bihar State Legal Services Authority has disclosed an employment notification for the recruitment of Judicial Member (Chairman) and Other Person (Member) posts. Application are invited from experienced and talented individuals for filling 27 vacancies. Job hunters who have worked or working in the public utility services can apply for Bihar State Legal Services Authority recruitment 2016. 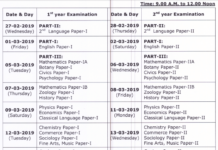 The job seekers who are willing to apply for these Latest Bihar State Legal Services Authority Jobs 2016 are requested to refer the official notification for complete educational qualification details. The Bihar State Legal Services Authority notification 2016 can be obtained from bslsa.bih.nic.in. According to Bihar State Legal Services Authority 2016, the applying candidates age should not have crossed 65 years. The applicants who satisfied eligibility criteria may apply for this Bihar State Legal Services Authority recruitment 2016 by offline mode. The Bihar State Legal Services Authority application form 2016 is available at official website i.e bslsa.bih.nic.in. Selection of the job seekers for this Bihar State Legal Services Authority recruitment 2016 will based on interview. Selected candidates will receive pay scale for the appointed post as per norms of Bihar State Legal Services Authority. 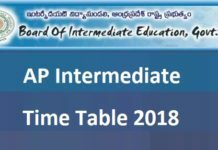 The pay scale details can be obtained from the official notification. More details regarding Bihar State Legal Services Authority notification 2016 check below sections are visit official website. Age Limit: The candidates who wish to apply Bihar State Legal Services Authority Recruitment 2016 should be under 65 years. Selection Criteria: Applicants will be selected depends on in the Interview. Download application form from bslsa.bih.nic.in and send it to address mentioned in the notification by attaching all necessary documents. Last Date To Submit Application Form : 31st July 2016.